When I'm pretending to be richer than I am, my favourite place to eat at Knox Shopping Centre is at Bar Bosh, opposite Village Cinemas (I like stopping in for wedges before or after a movie). They're open 7 days a week for breakfast, lunch and dinner, they're big enough to hold functions of up to 60 people, and they're fully licensed. For a Sunday morning treat, I love their Devonshire tea. 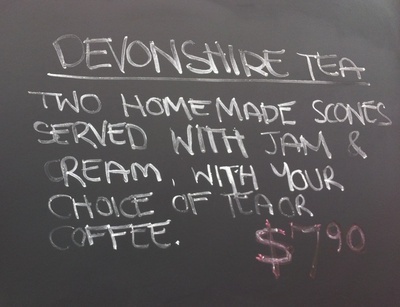 You get two homemade scones with tea or coffee for $7.90 - but you feel super classy doing so! 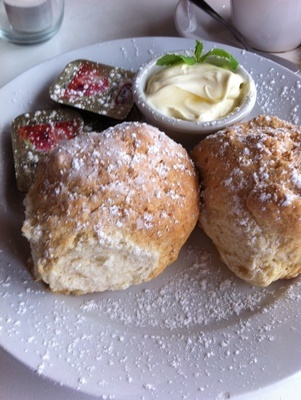 As if to prove the scones are made from scratch, I once had to wait 40 minutes for them to cook. Unfortunately, the same can't be said of the jam, which comes out in Kraft packets. You're also only given enough jam to cover exactly three scone halves (in this expert's opinion), but that's about where I get full anyway (they're pretty big scones). I'd probably prefer it if Bar Bosh dolloped jam (even from a jar) into small serving dishes, like they do with the cream. But for the price, I guess I can't really complain. 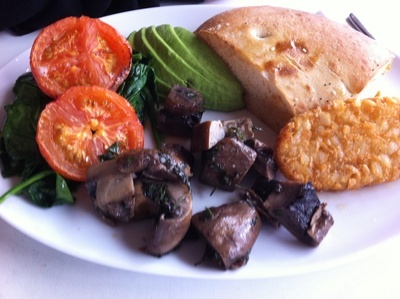 The Veggie Breakfast is also not bad. There are sweet little candles on each table, an open fire to keep you toasty and lots of seating both indoors and out (but you need to handover your ID while you're outside, apparently to prevent customers from running off without paying). On the whole, Bar Bosh serves generous portions, but I find the meals a bit pricey for a walk-by restaurant, with most mains costing between $20 and $30 (view the full menu here). You won't get the speediest service of your life here, and oftentimes one meal will come out a few minutes before another, but in my experience they've always been worth the wait. My favourite for dinner is the number 6 Turkish pizza: salami, goat cheese, pesto, olives and rocket, all baked in a wood-fired oven. When I say that this is my favourite meal, I mean I literally haven't tried anything else for dinner, because this pizza is so good. 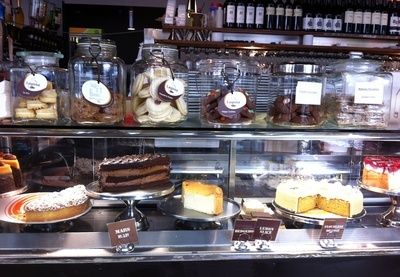 There's also a huge selection of cakes and grog! 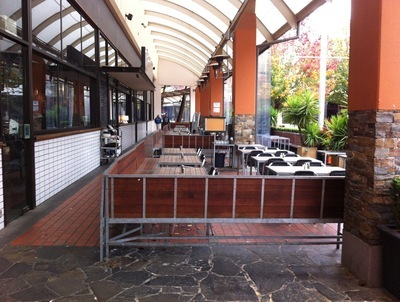 Do you have a favourite place to eat at Knox? Leave me a comment below. Gotta love the tagines and cocktails!! Thanks for the tip! I'll have to try them next.